Selecting the wood tree swing and rope length for your purchase can be challenging. Therefore, below we have made an easy guide to help you determine how much rope you may need for your new wood tree swing. 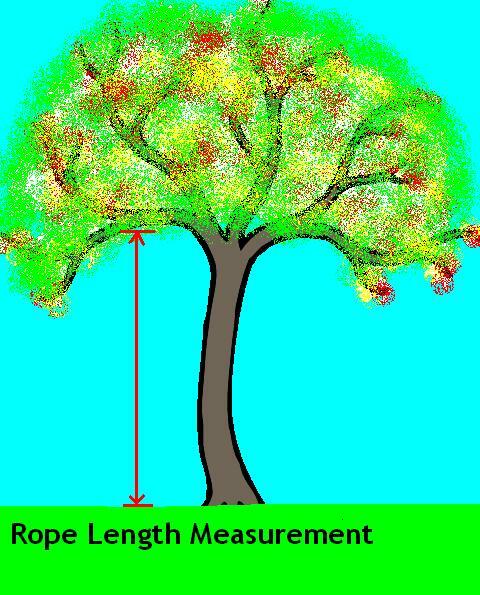 Generally, the best measurement to determine the length of rope you need is to measure from the ground to the tree limb. This measurement will allow you a general sitting position about 18 inches above the ground, and allow for the rope to be secured around the tree branch. If still in question, order at least another 1 to 2 feet per side. Hanging Kits are available for every tree swing we sell. The available sizes are 36", 48" and 60". The inch measurement is the total amount of material from end to end. Below are the diameters that each size measures.